It all begins circa 1885, when a french man named Gibaut from the Val-de-Marne south of Paris, arrives to Argentina. Around 1888 Henri Felix Gibaut -with his son Paul- decides to start a tanning enterprise in the country. 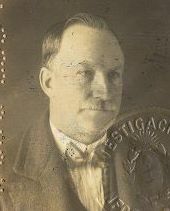 Thanks to the experience brought from France and his own personal efforts achieves a silver medal for his products during the First National Fair in 1898. At the time the tanning process was totally different, the complete process was done by hand and required lots of human effort and energy. in 1910 Don Pablo Alberto Gibaut was born, grandson of Henri and founder of the company that keeps the family tradition to the present time. He was raised among tanners and tapisseurs, learning all the family techniques with daily practice and work. About 1924 some producs were shipped to France, setting the milestone of the first export sale from a Gibaut family company. 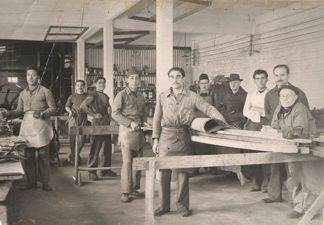 In 1932, Don Pablo Alberto Gibaut, starts Gibaut y Cía SRL. In 1945 his brothers Marcelo, Emilio Félix and Eduardo Angel, join the business changing its name to Gibaut Hermanos SRL. Later on in 1950 the enterprise changes its incorporation status to become an SCA (societé en commandite) and finally in 1961 changes again to become a S.A. (société anonyme) adopting its actual denomination of Gibaut Hermanos Manufactura de Cueros S.A. Starting in the 70´s and 80´s the company began a continued expansion. It was present along with other national tanneries at each Paris Leather Fair showing its products to the world. This was key in the expansion strategy as it turned out that exports represented about 90% of its sales in 1990. A new production facility was built in the 70´s with state of the art machinery and a waste treatment plant that showed the path to follow to the industry in Argentina. This new facilities were further expanded in the 90´s with a brand new finishing line, thus allowing to put together the complete production process at one location.